Home » Blog » Media Planning : What’s it all about ?? Media Planning : What’s it all about ?? Media planners play an all important role in a company’s advertising strategy .They can be found in media agencies, specifically advertising agencies, and also in media businesses. Essentially their task is to help clients maximise the impact of their Advertising and Promotional campaigns through targeted use of media. Planners help companies decide which media to use (be it digital, outdoor, online, press, TV, radio, mobile or a combination of a few ), and they do this by analysing historical advertising campaign data as well as information which helps inform and identify the best possible target audience for a future strategy. The role of a media planner can be extremely interesting as it offers the chance to be at the hub of an exciting and evolving industry. Think about your experience at home when you browse the Internet, Facebook, LinkedIn, or even when you watch TV on Demand. You will notice that the advertising campaigns that you see are targeted to your specific browser history. With the explosion and rise in online television, the media industry as a whole is heading towards a position where media campaigns are successfully tailored to achieve better results within a targeted consumer profile. We predict that the skillset of a media planner will become more varied and the role more demanding. Media Planners need to be analytical as they will be responsible for analysing target audiences behavior, characteristics and media habits. 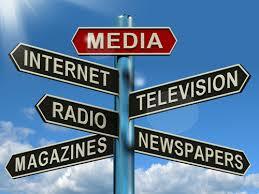 They also need to be creative (its not just about being in a creative industry) and keep up to date on media trends. They will be knowledgeable about all forms of media including television, , digital/ online, mobile, new media, press, however if they are working for a specific form of media : eg. TV or radio, they will need to be particularly knowledgeable about this too. Media planners don’t just have to be analytical and creative, they also need to be very good at communicating as they will often speak to clients directly, or write proposals and therefore be the face of the media agency they work in. Not all media planners work in media agencies, they may also work in house. This is often the case particularly within Broadcasters where they have dedicated Media Planning teams that support the Programming, Scheduling and Marketing strategies to ensure effective placement of promotional and advertising campaigns that drives performance on the channels.